Opening up on the conversation on the issues being debated in today’s Los Angeles. Featuring interviews with local social and environmental justice leaders, plus the kind of big-picture context you won’t find anywhere else. Hosted by David Levitus, Founder of LA Forward, and History Ph.D. with a focus on U.S. politics and urban studies. This special episode was recorded live at the SIJCC and features LAFB's first ever panel discussion. We bring together leaders from four of California's leading immigrant rights organizations to discuss how to effectively fight back the Trump administration's attack on immigrant communities — through sanctuary policy campaigns, political organizing, lawsuits, legal representation for individuals, guerrilla post-it-noting, and more. Season 2 is here—thanks to the generosity of listeners like you! To kick things off, we welcome Sandra Fluke, California Director of Voices for Progress who gives us the inside scoop on how politics works in our state. From gerrymandering and term limits to corporate capture of certain Democrats, we get real talk about who wields power in Sacramento and how they do it. Then we discuss the fight for a strong "net neutrality" law and the abolition of "money bail," plus how you can get involved. Martha Dina Argüello talks with us about the STAND-LA coalition’s work to phase out the silent but deadly oil drilling that still exists near homes, schools, and hospitals across Los Angeles. A native of the neighborhood around Vista Hermosa Park and its plethora of oil wells, Martha shares her story and highlights the need to push for a just transition where disadvantaged communities and workers all benefit from the move from fossil fuels to clean energy. Kabira Stokes of Homeboy Electronics Recycling joins the podcast for our first live show which took place at the beautiful, historic Pico Union Project building. Kabira shares the fascinating story of how she came to establish and lead a social enterprise that employs formerly incarcerated folks, boosting the local economy, and fighting both toxic pollution and climate change in the process. Maya Paley of NCJW-LA joins the show to discuss the fight against sexual harassment and violence beyond the headlines. After she shares the story, we dive into the data on the widespread nature of the problem, discuss this year's top policy priorities, and learn about NCJW-LA's "Talk Project" to engage teens in peer-to-peer trainings. KeAndra Dodds of Enterprise Community Partners joins the show for a conversation about what "affordable housing" means, how the different types of affordable housing get built, and how local ballot initiatives like Measures H, HHH, and JJJ and recent state housing bills are part of this evolving landscape. If you've been affordable housing-confused or just affordable housing-curious, this is the episode for you. 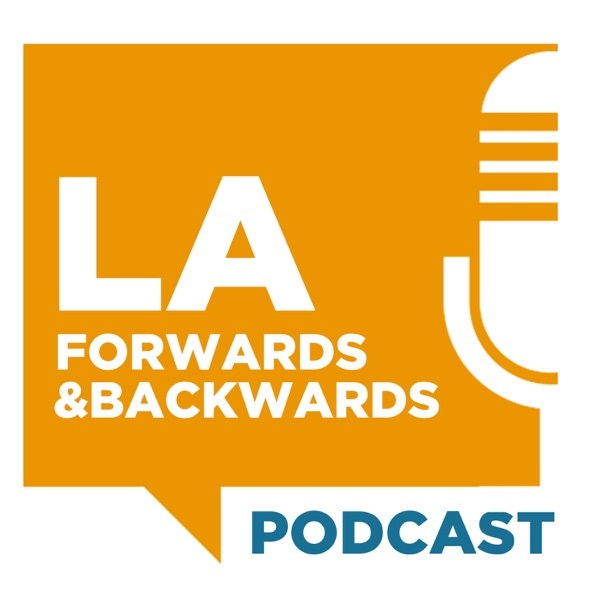 Jessica Meaney of Investing in Place talks with us about how she came to found a transportation advocacy organization, the often-ugly history of transportation in LA, and reasons for hope today. We discuss Measure M (the massive funding measure passed by LA County voters in November 2016), some of the good things it'll do, and where we need to keep pressing the Metro Board and the 88 city councils across the county. Zach Hoover of LA Voice joins the show for a discussion of spiritually-based organizing and the enduring legacy of white supremacy, including “The New Jim Crow” of mass incarceration and repressive policing. We discuss the generational challenges we must overcome to create a fair society and the work of multiracial coalitions in confronting today’s architecture of injustice. Mariana Huerta Jones of ACT-LA talks about their coalition's campaigns to create housing and transit that serve all Angelenos, including the backstory on Measure JJJ which City voters approved in November 2016, and how we can ensure implementation is done right. Plus a bite-sized segment on the history of inequitable development in LA to help us understand the present moment. For our inaugural podcast, we talk Street Vending and the campaign to decriminalize the immigrant entrepreneurs who keep our streets lively and well-fed with fresh fruit. Featuring an interview with Rudy Espinoza, ED of LURN, and a leader of the campaign. Plus a deep dive in the history of vending globally and in Los Angeles to give a context for the present day and where we go from here.